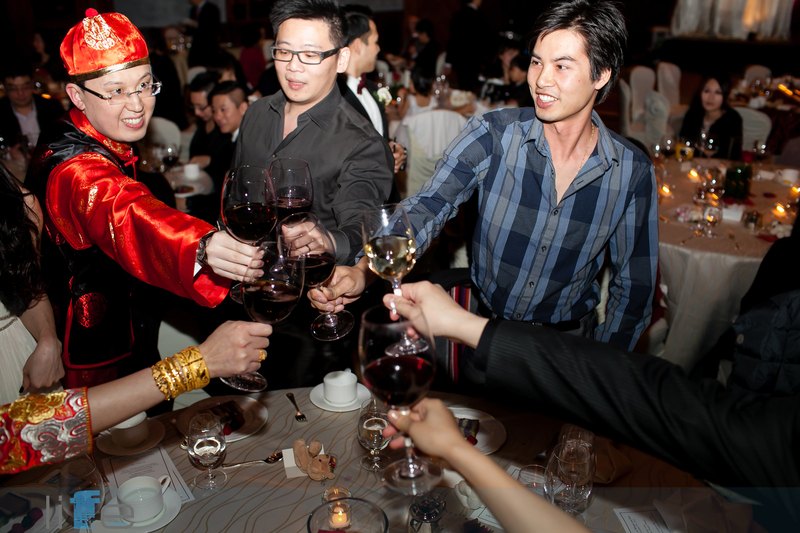 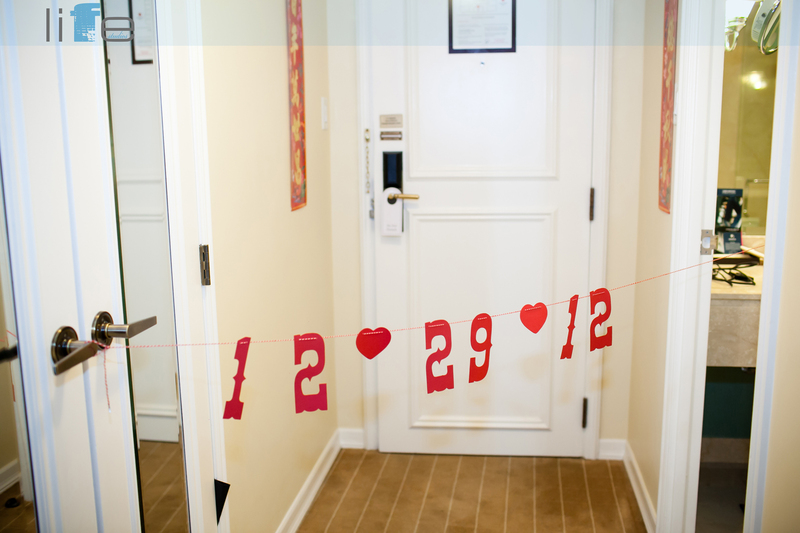 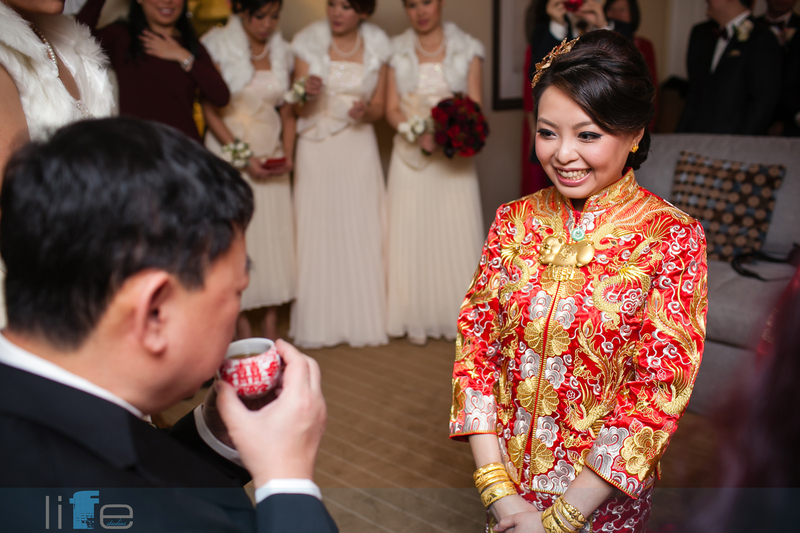 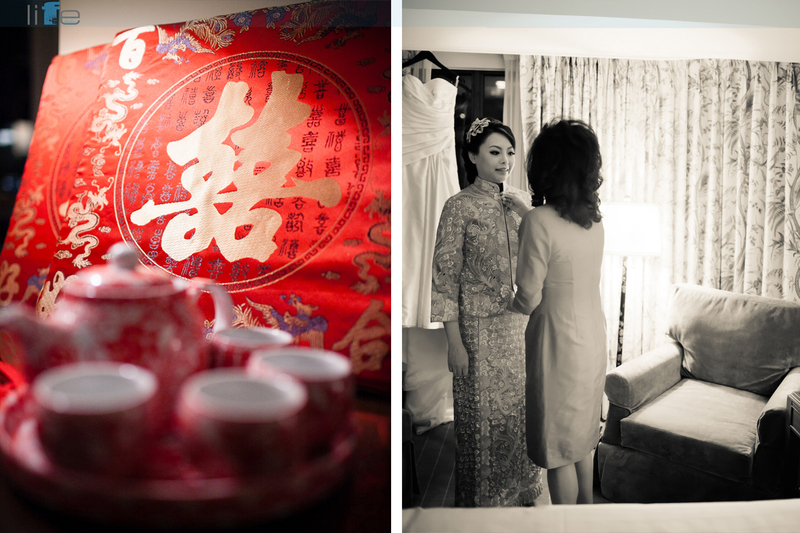 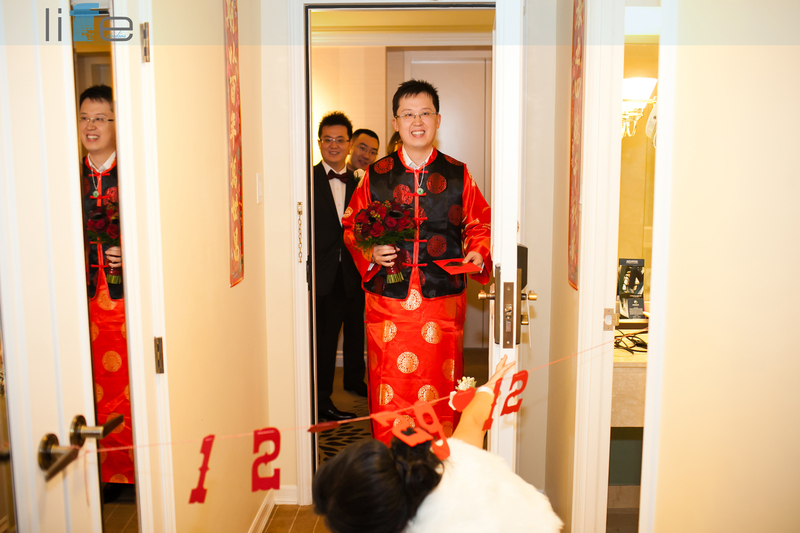 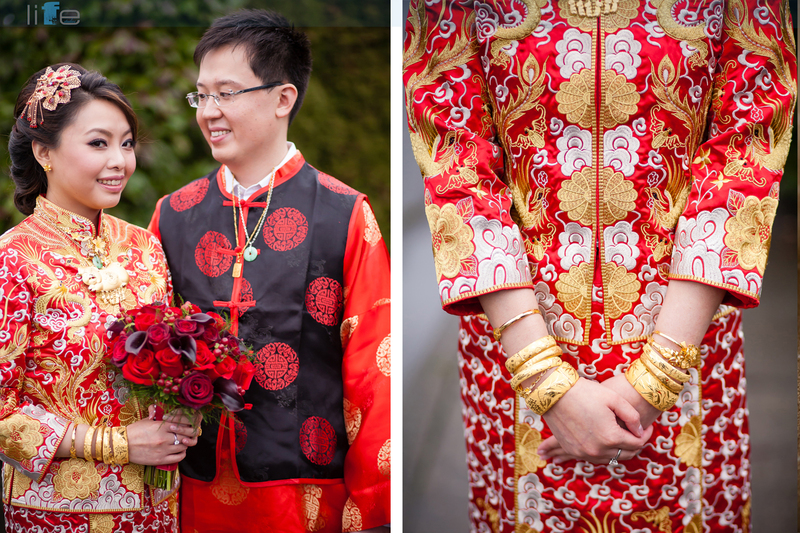 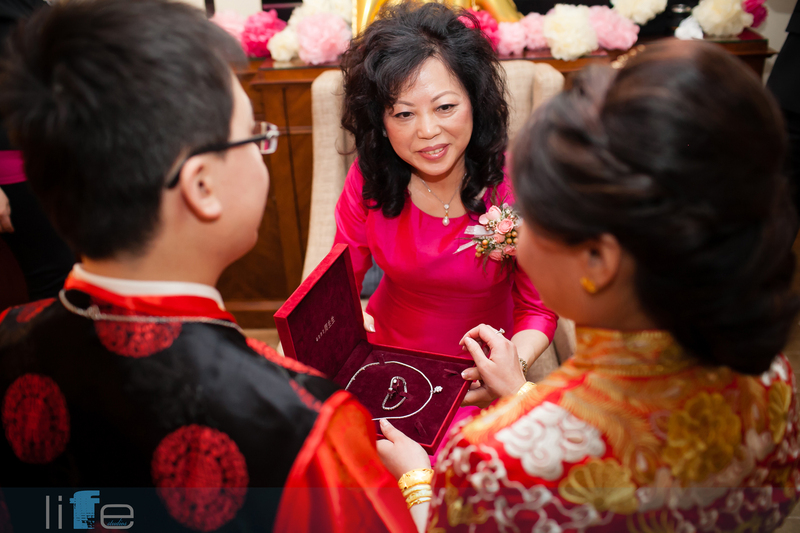 Vancouver Wedding Photographer Winnie and Ken Wedding Photos – Vancouver Wedding Photographer Life Studios Inc.
Red is the colour of luck, happiness and good fortune in Chinese culture. 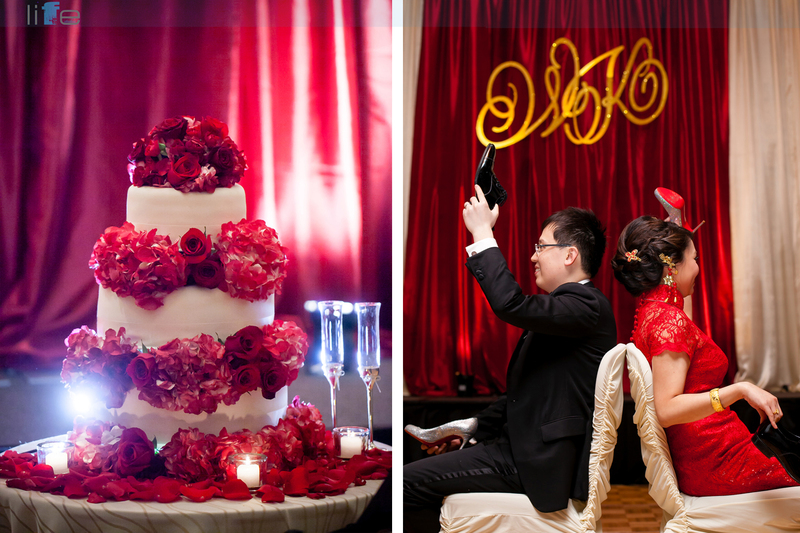 It’s also the perfect colour for a festive Christmas wedding! 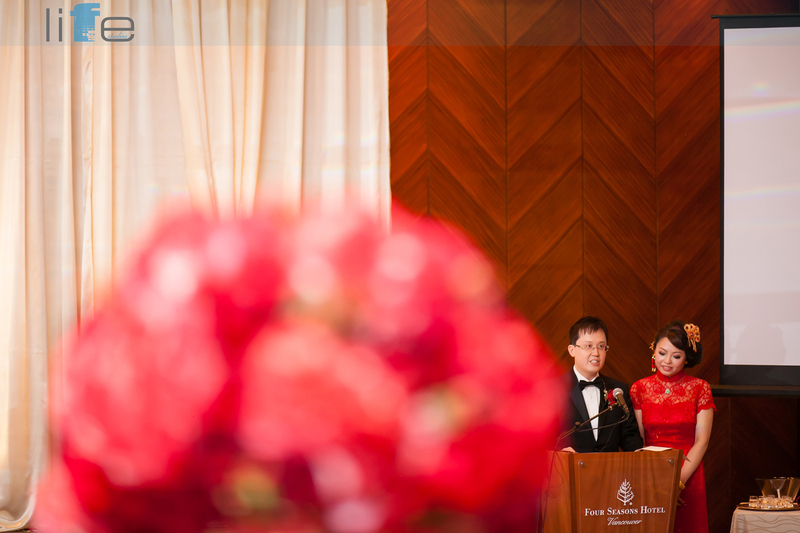 Winnie’s and Ken’s wedding had so much red that they will be sure to have luck for lifetimes to come. 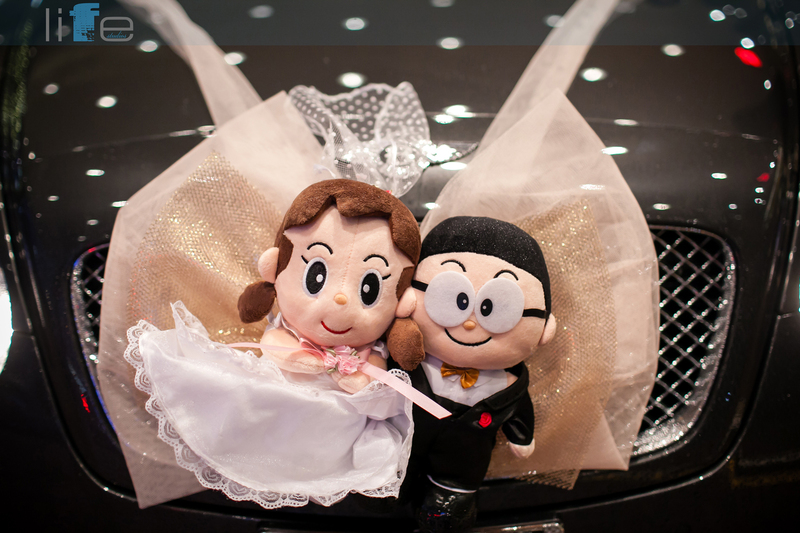 We love some of the great details throughout the day, such as Winnie’s lovely red hair clip during the morning, the adorable dolls for the front of the car and Winnie’s sparkly Louboutin wedding shoes! 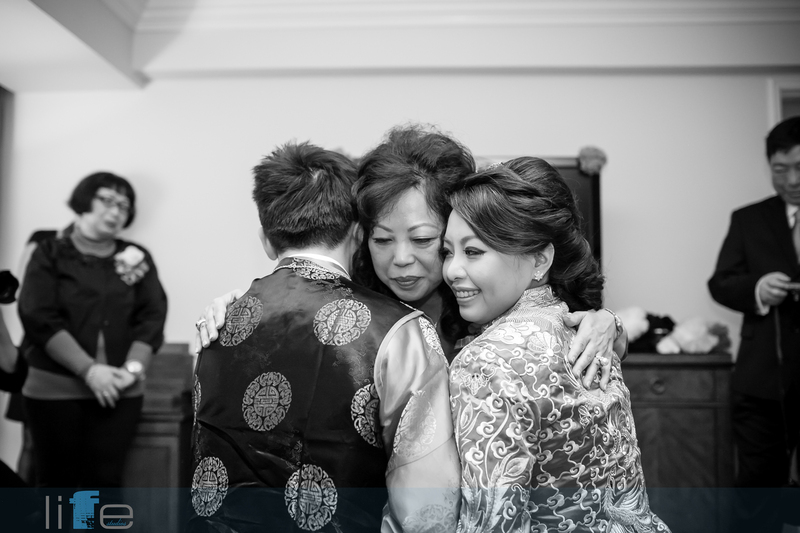 In the morning, while getting ready, Winnie and her mom had a few sweet moments together and it was clear to see how close of a relationship they have. 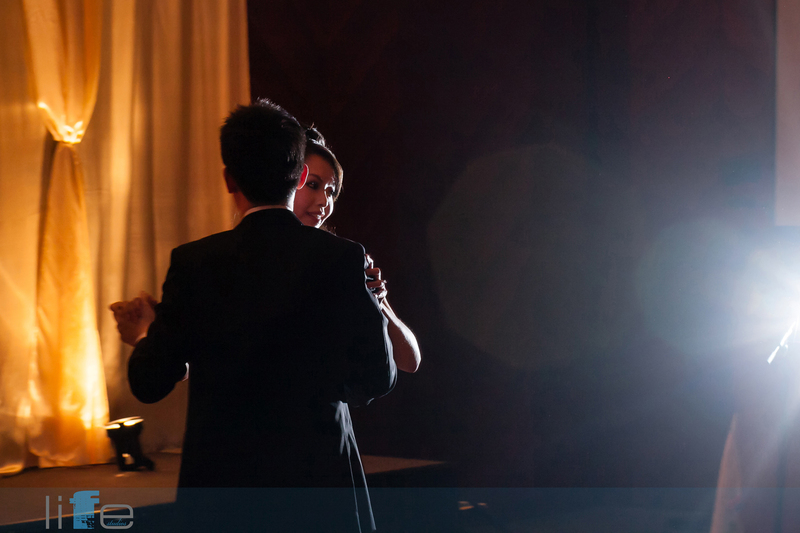 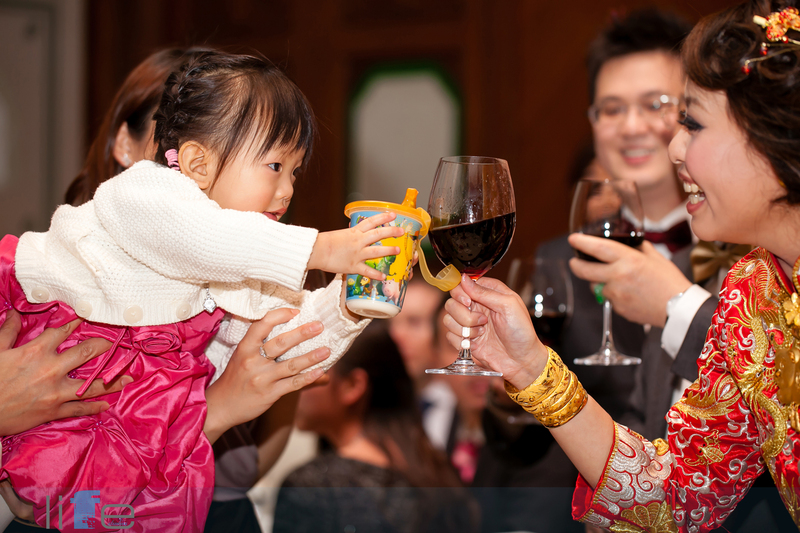 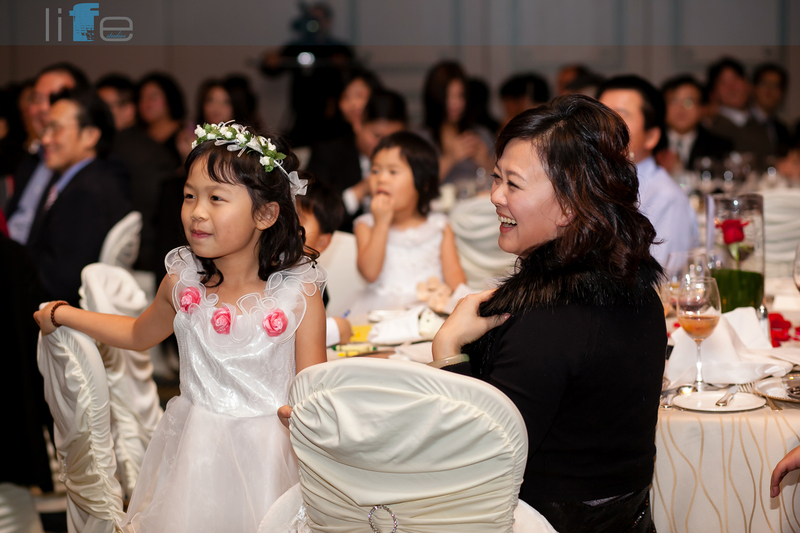 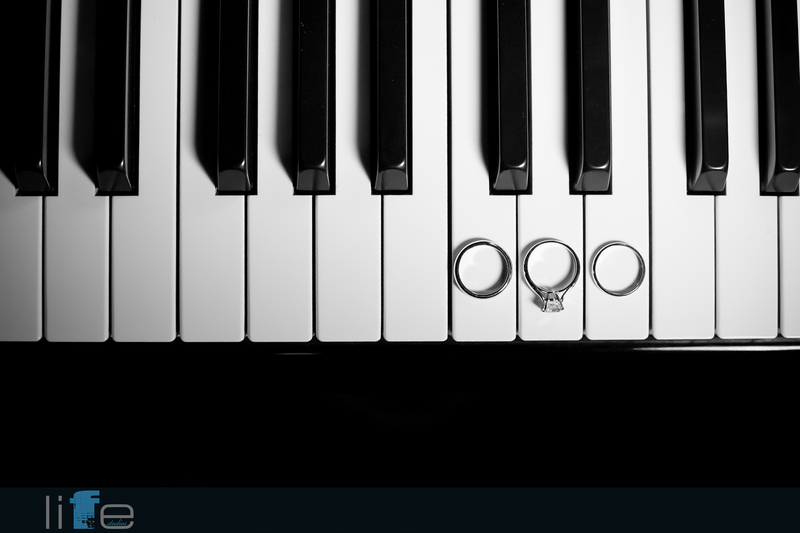 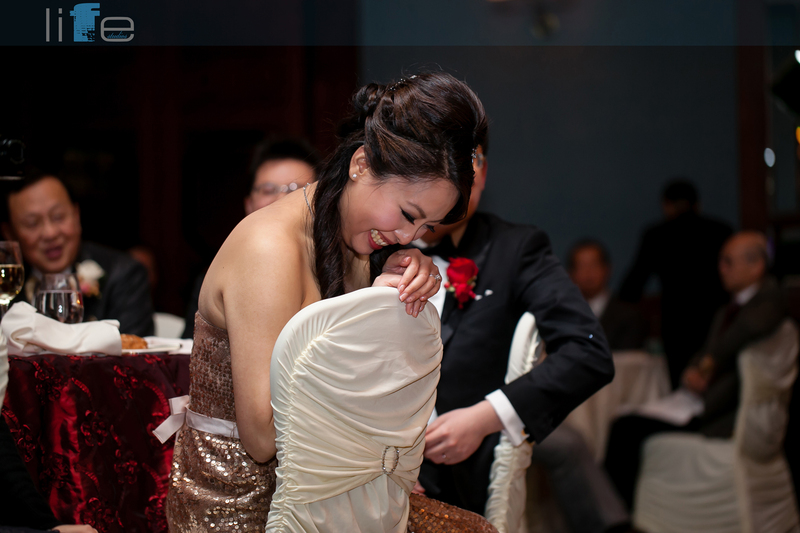 We absolutely love seeing those moments during weddings! 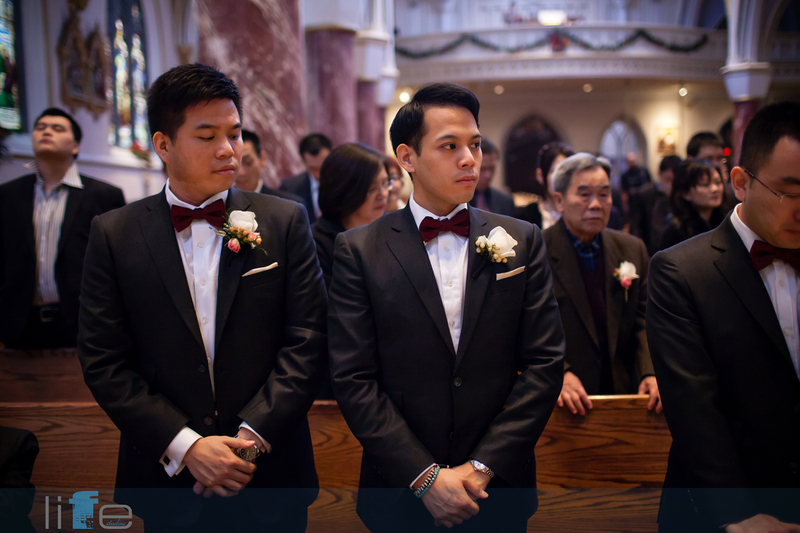 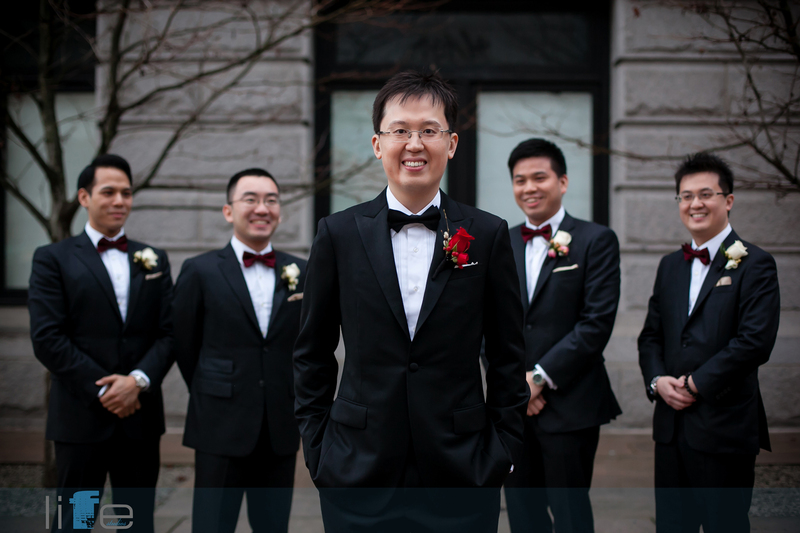 Before Ken could see his bride, he had to pass the tests that the bridesmaids set for him and his groomsmen. 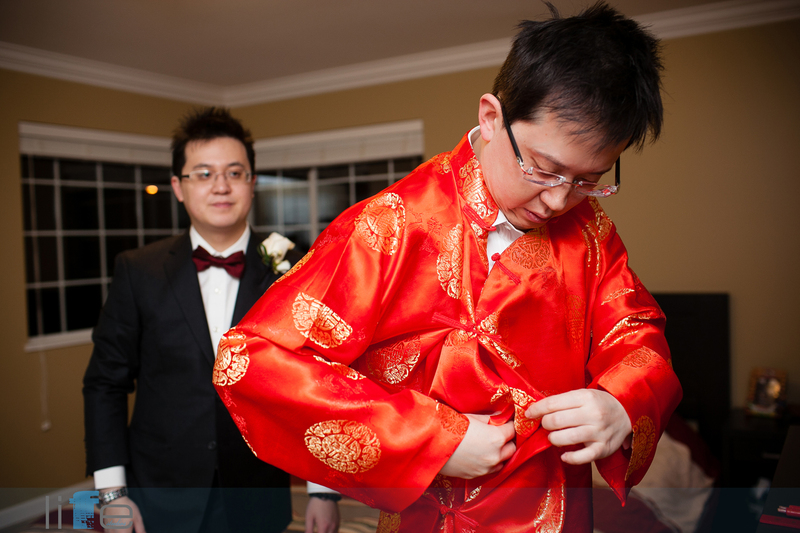 We must say that the guys looked quite good in their sparkly red and gold bikinis! 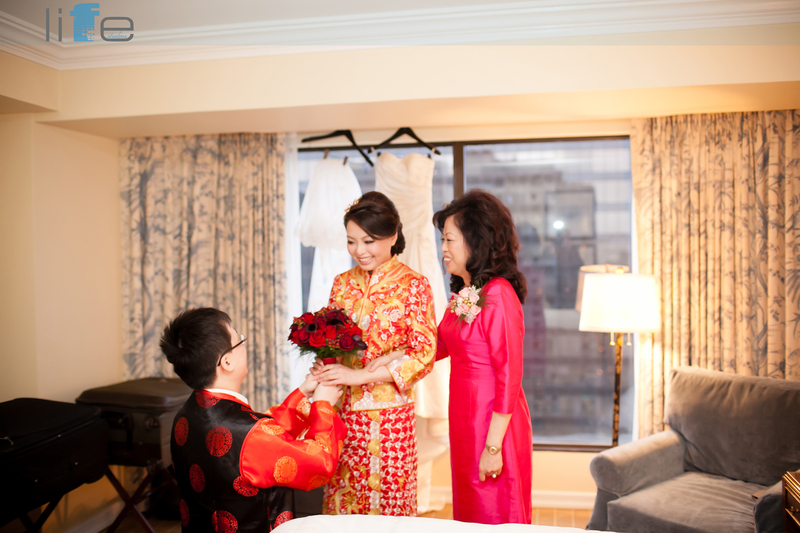 Winnie and her mom waited in the room for Ken to pass his tests and Winnie had a beaming smile as Ken entered the room and presented her with her bouquet. 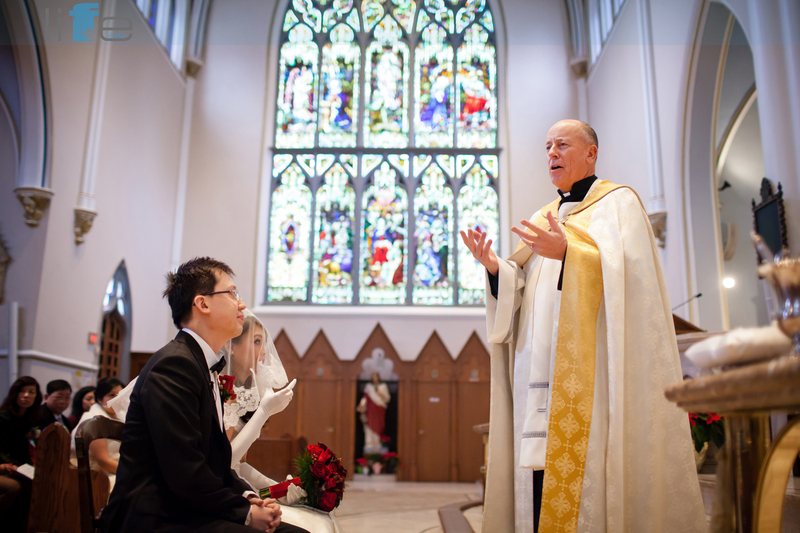 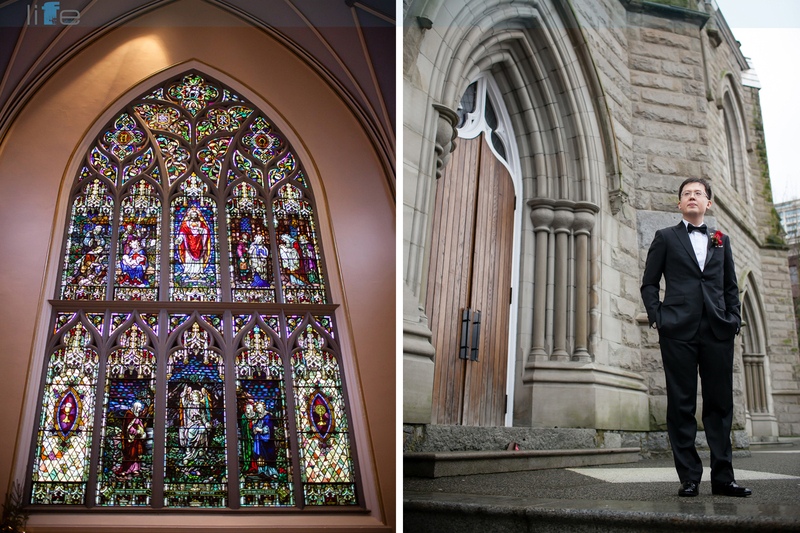 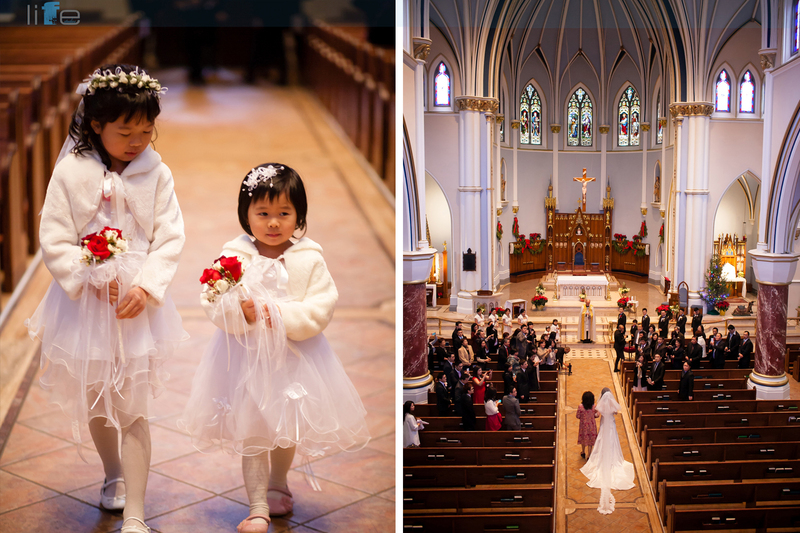 After a tea ceremony, it was time to get ready for the ceremony at the beautiful St. Andrews-Wesley United Church in downtown Vancouver. 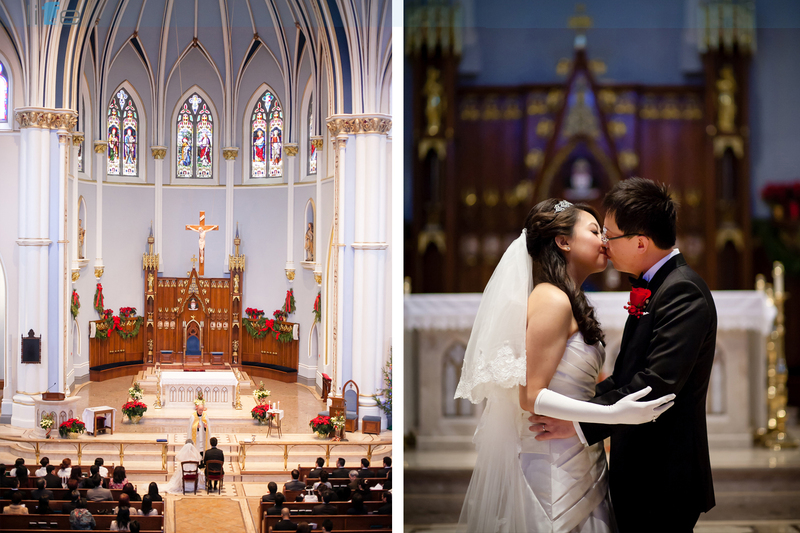 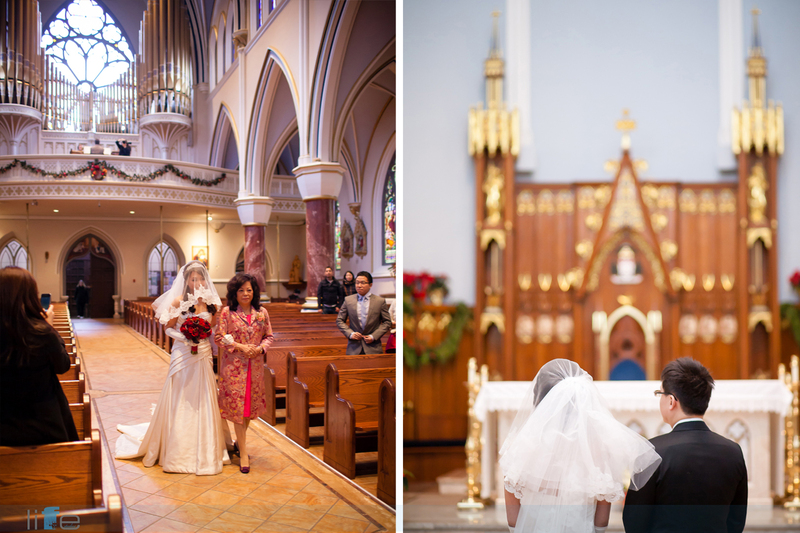 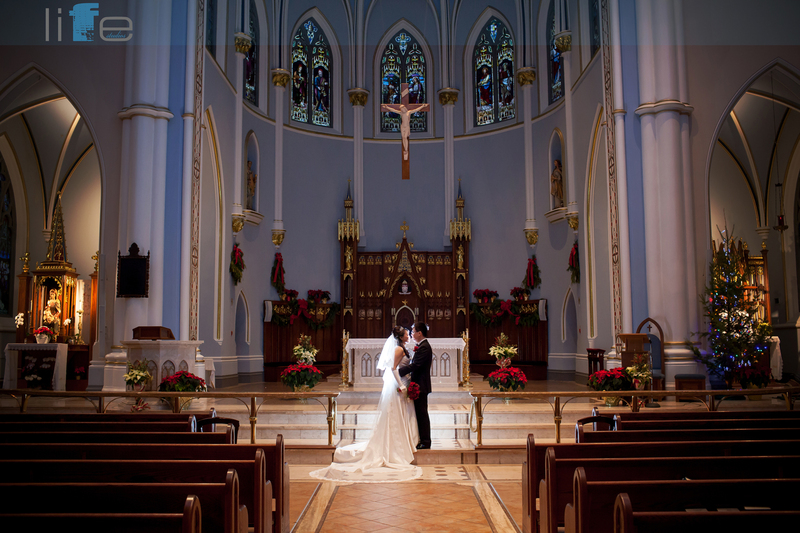 We always love weddings at this church because the high arched ceilings are absolutely gorgeous and majestic. 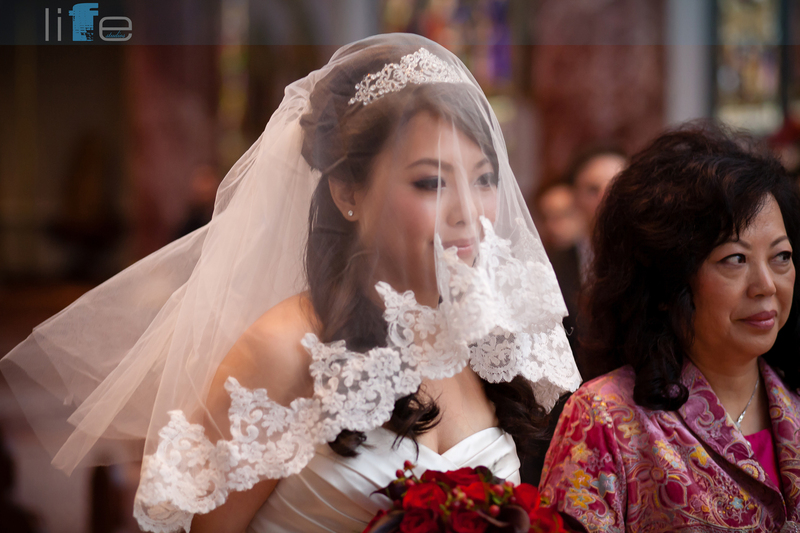 Watch out for Winnie’s gorgeous lace veil! 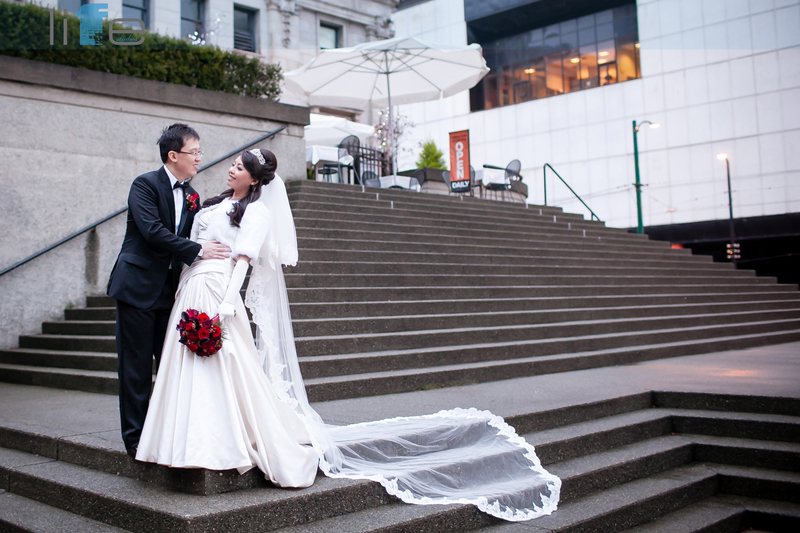 Following the ceremony we captured some photos in the grand foyer of the Vancouver Art Gallery. 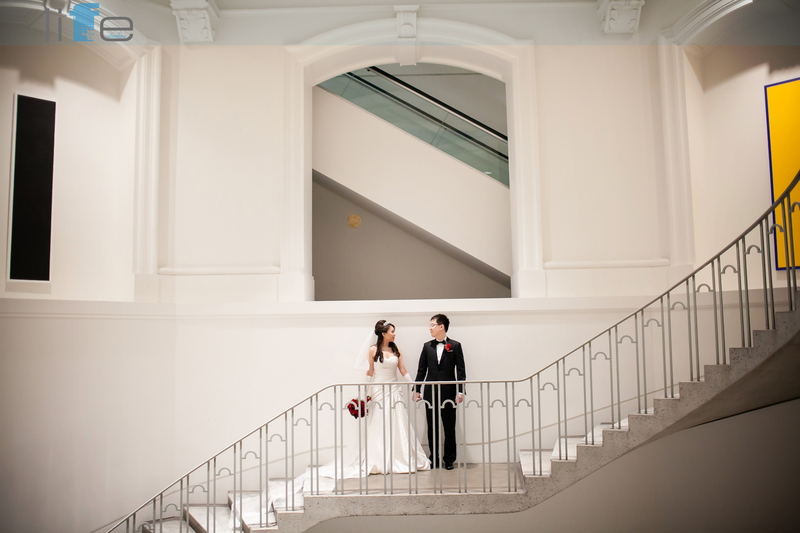 Interesting architecture adds great visual interest to photos and the Vancouver Art Gallery has unbeatable examples of wonderful architecture. 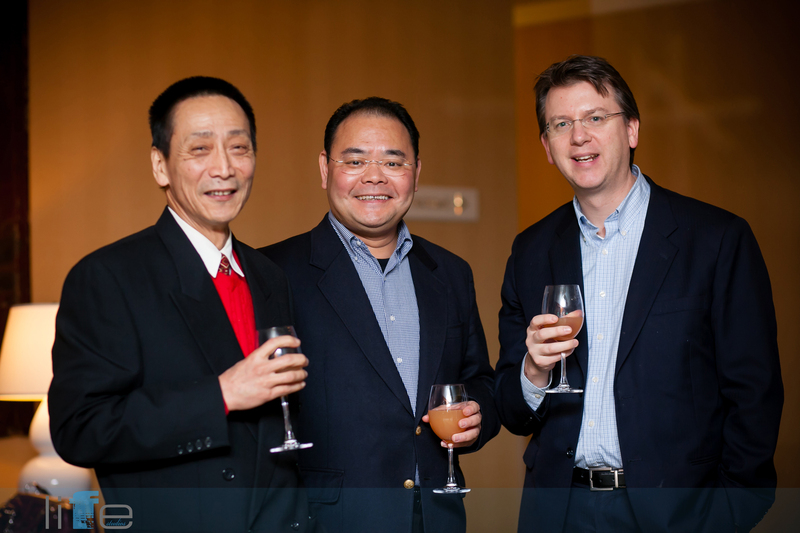 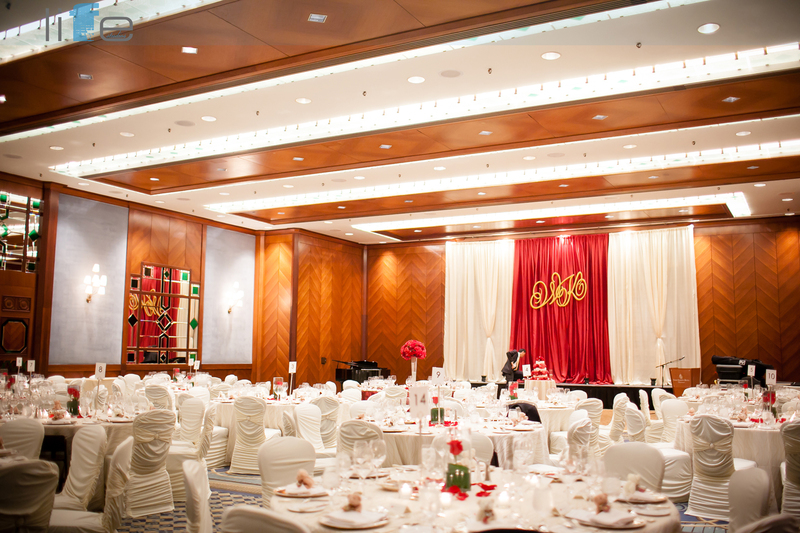 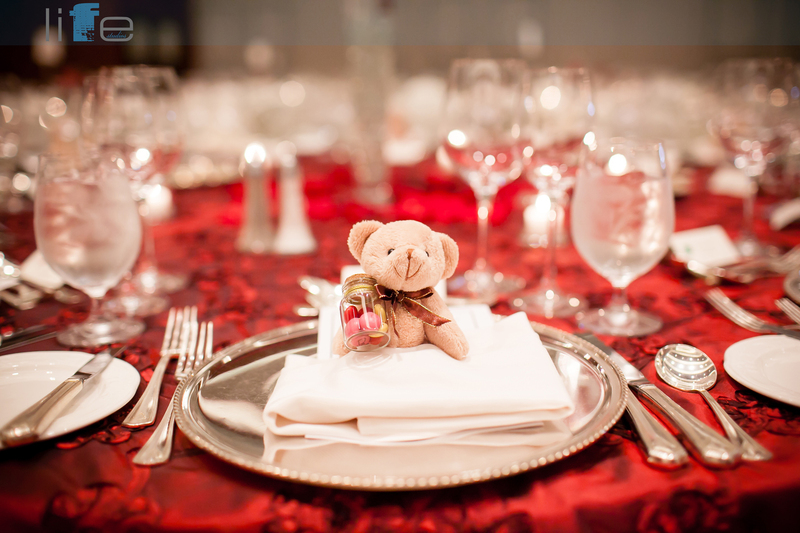 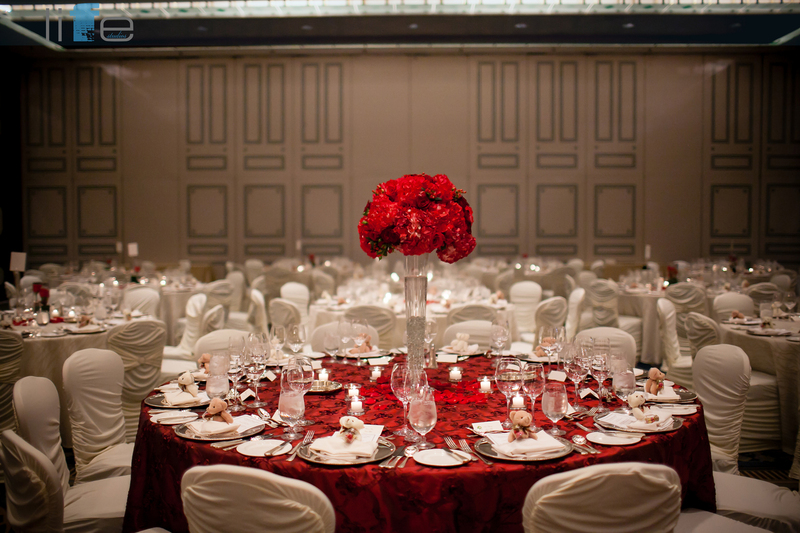 The reception was held at the always gorgeous Four Seasons Hotel where red filled the room for a festive feel. 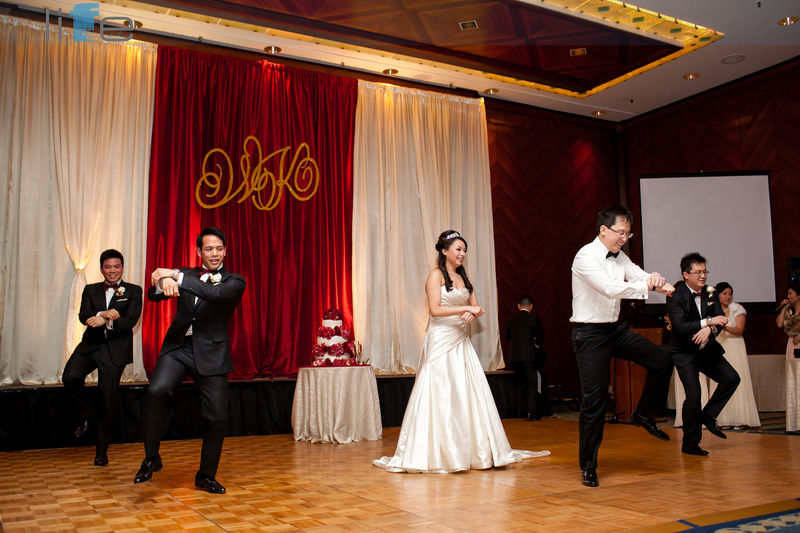 One of the most entertaining moments of the night was the “Gangnam Style” dance by Winnie, Ken and the groomsmen! 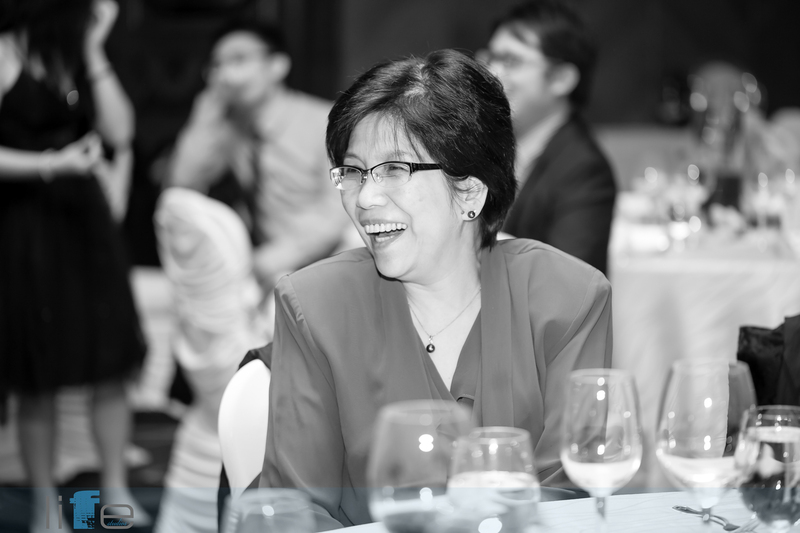 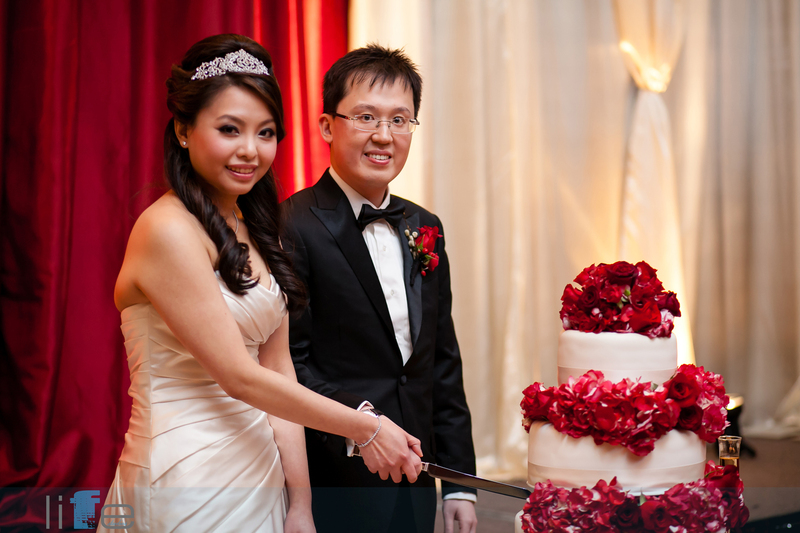 Thank you for letting us be a part of your special day Winnie and Ken! 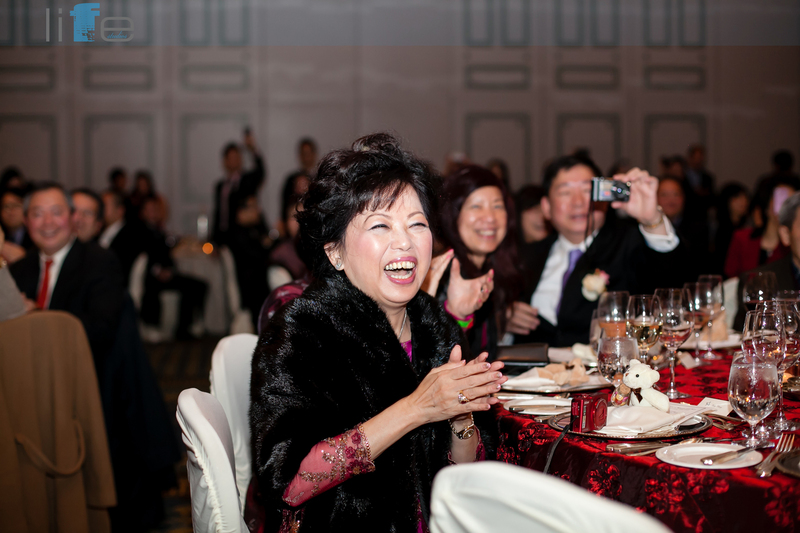 May you have lifetimes filled with happiness and joy! 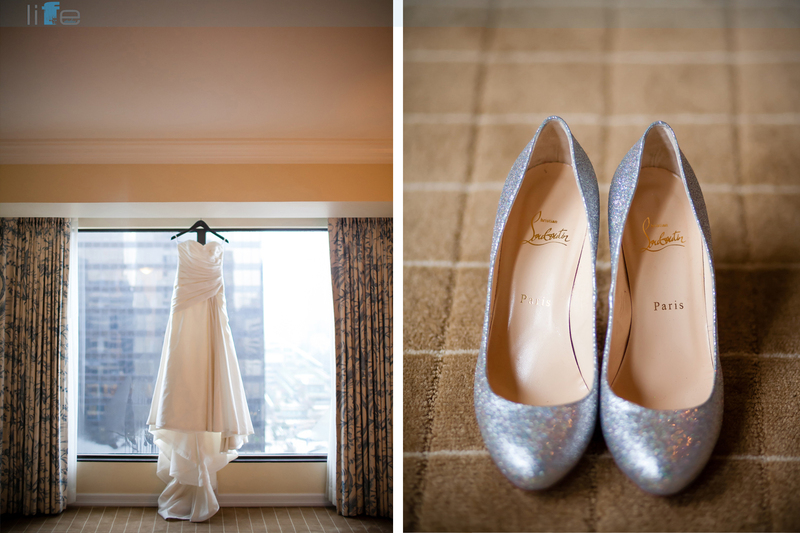 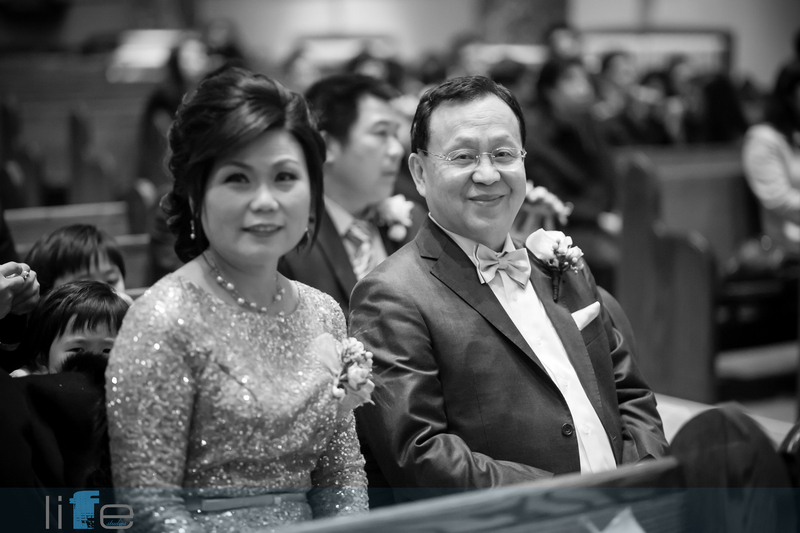 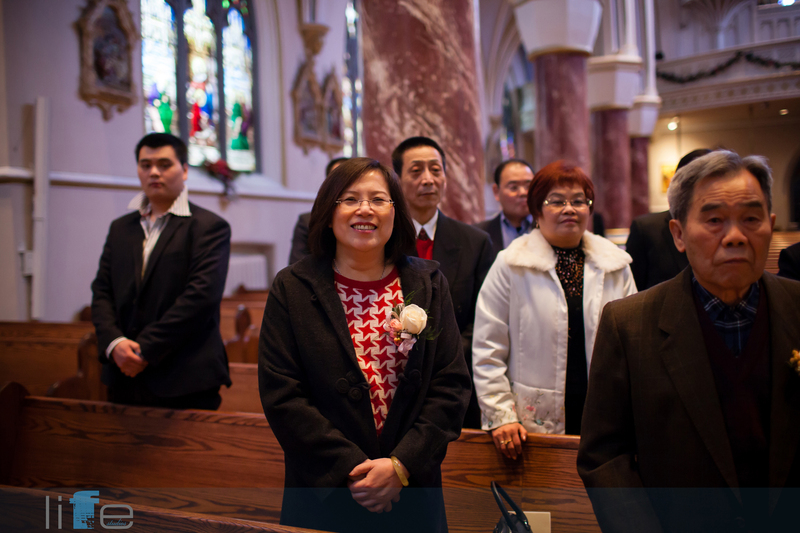 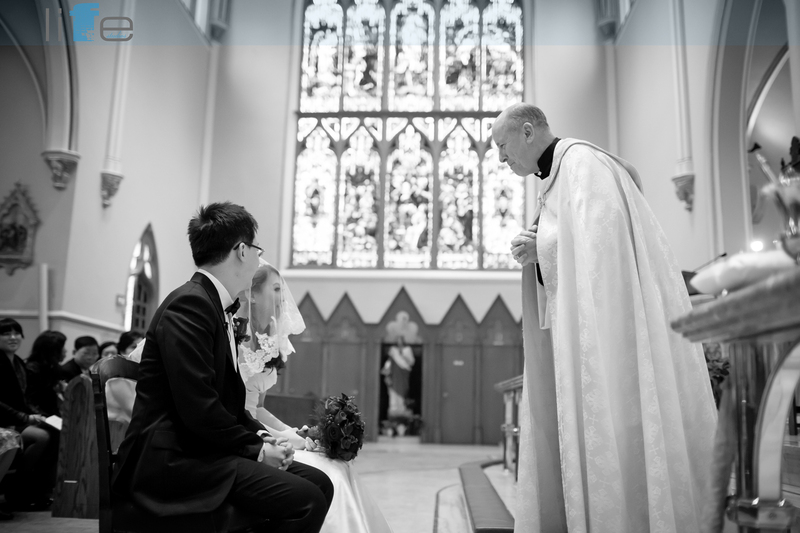 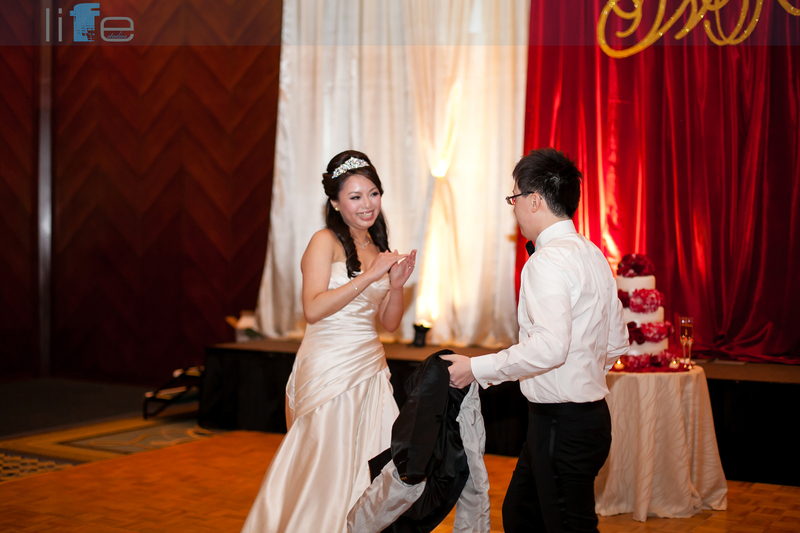 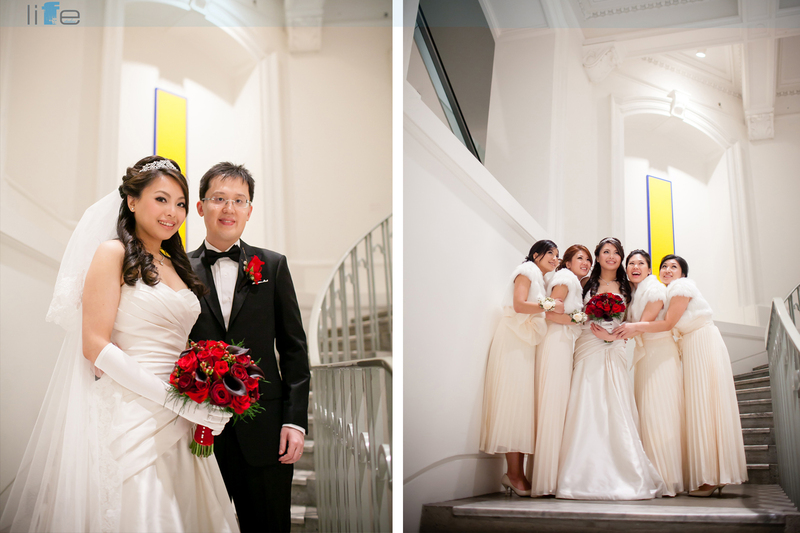 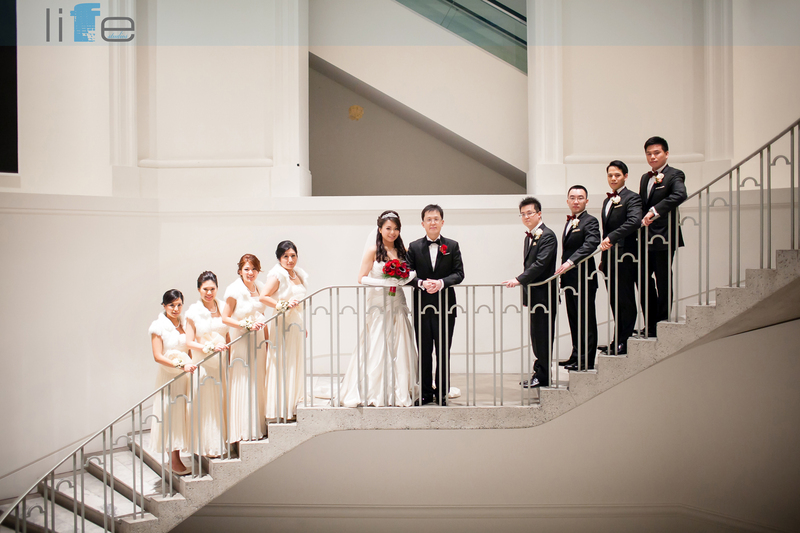 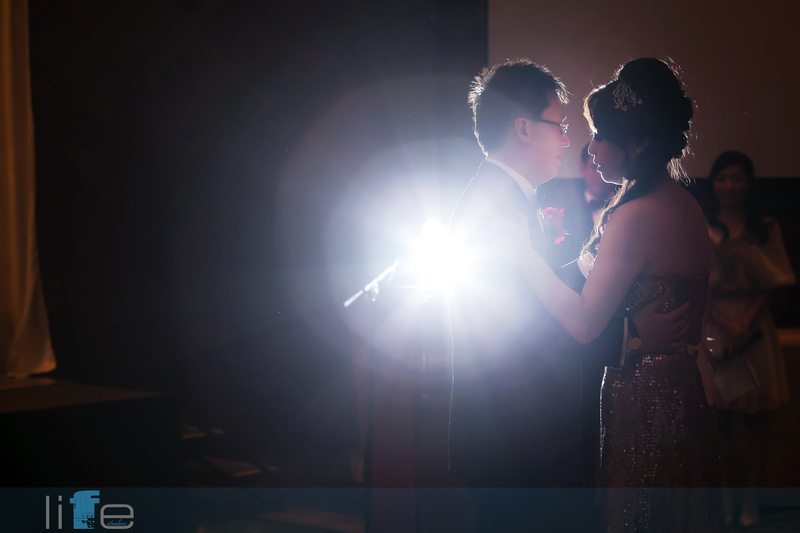 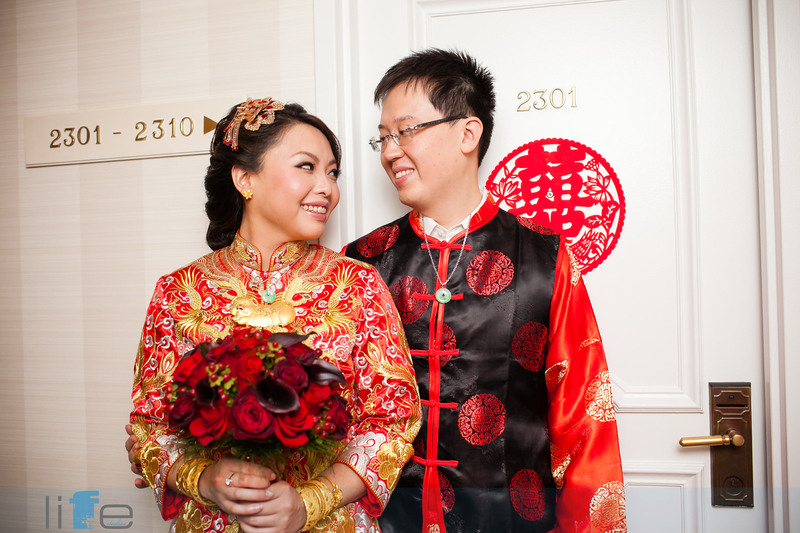 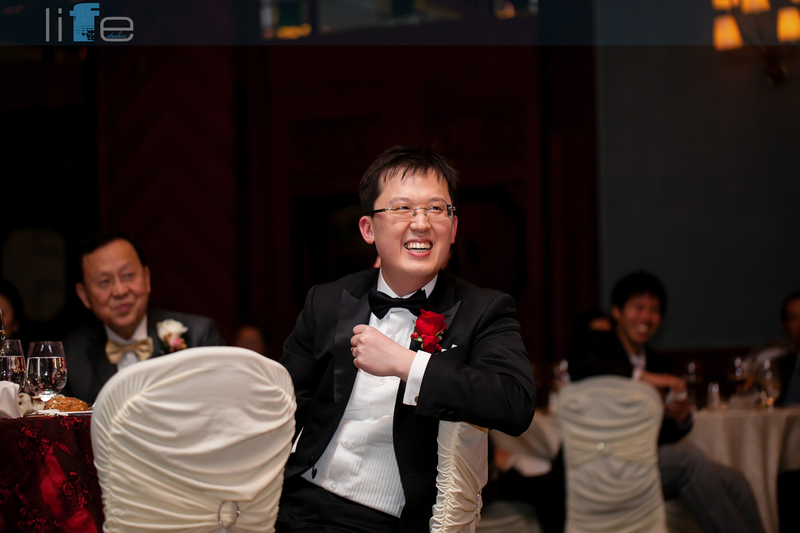 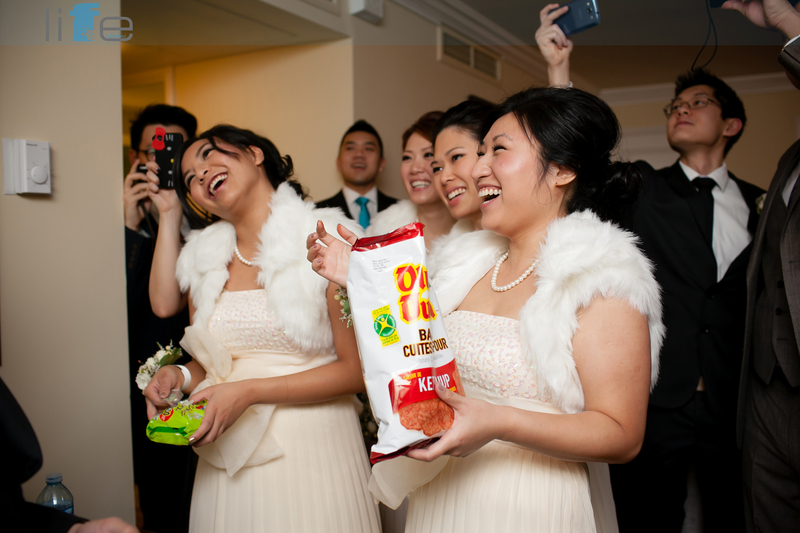 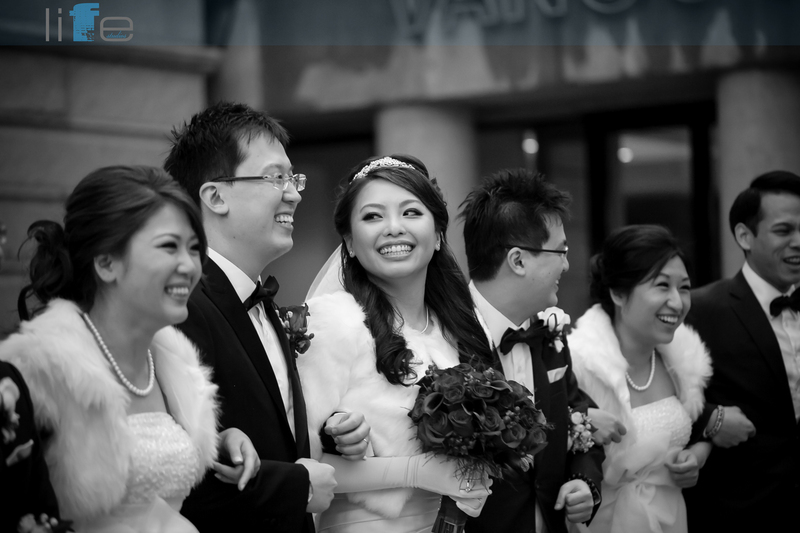 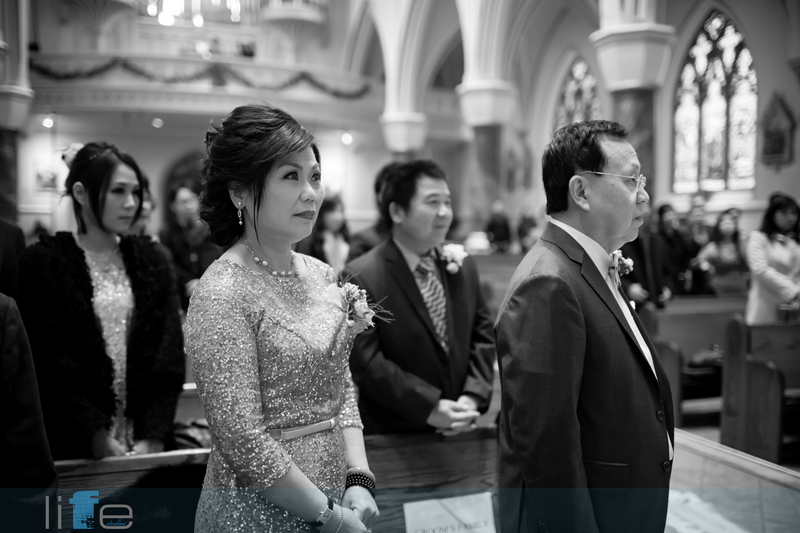 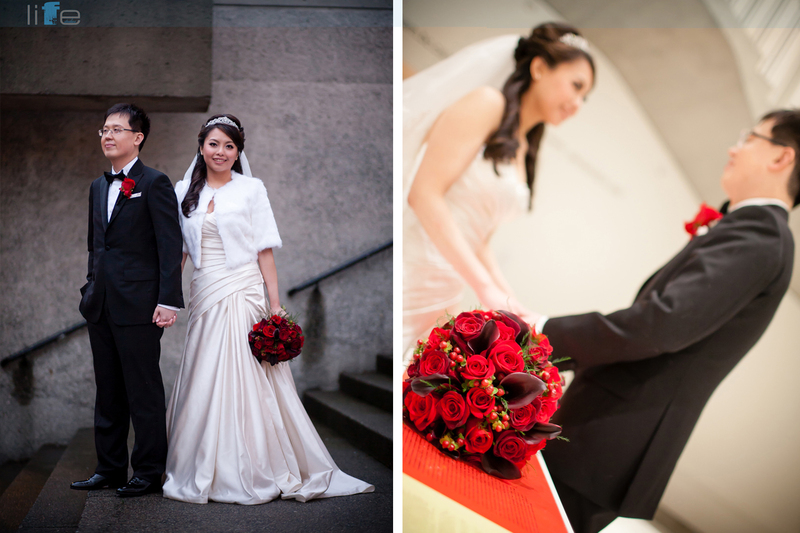 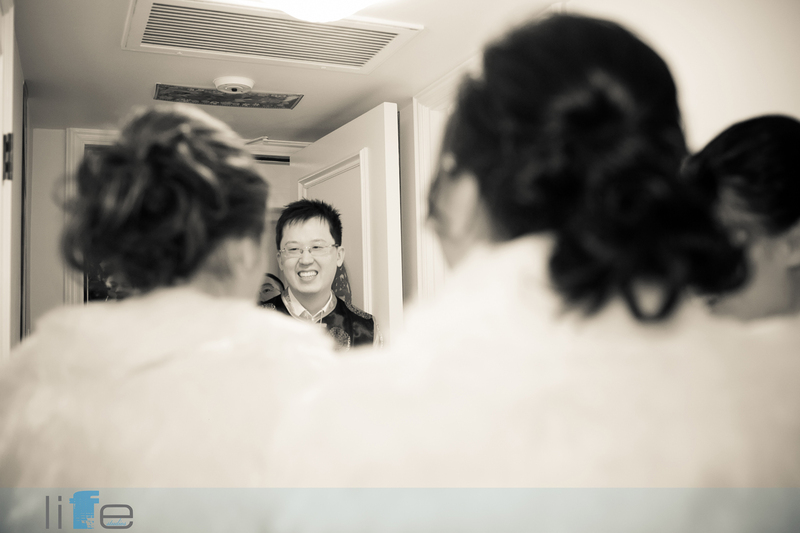 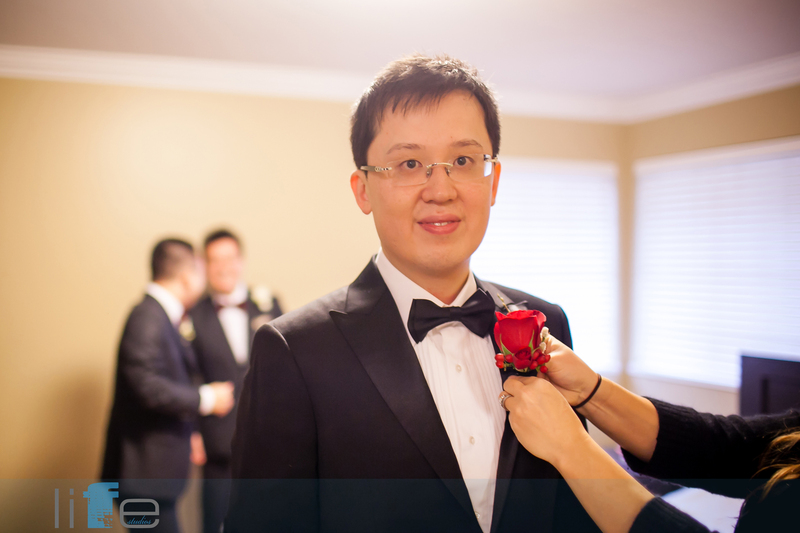 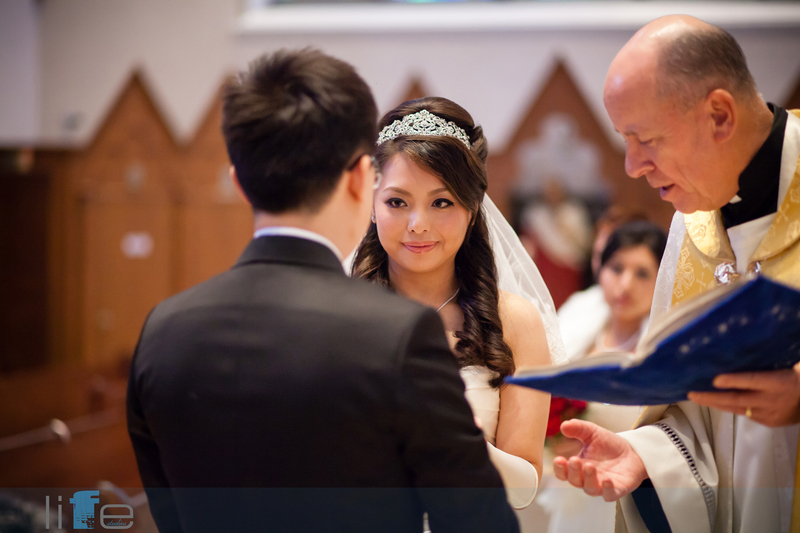 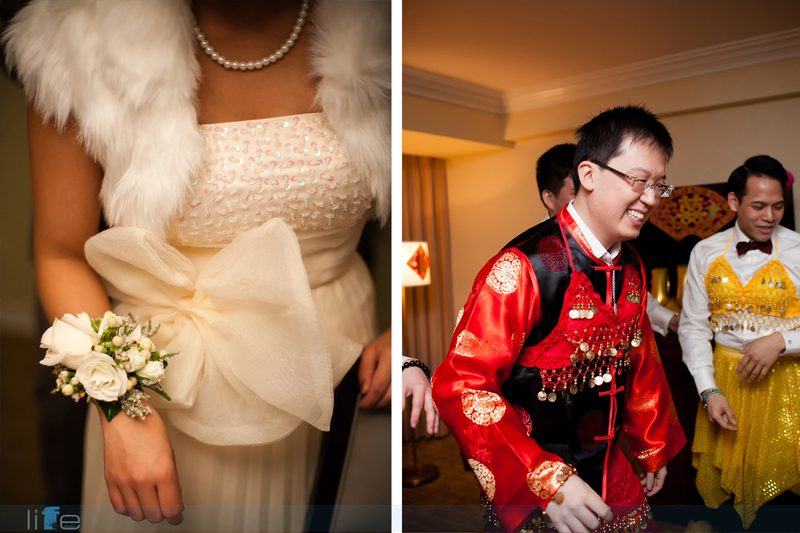 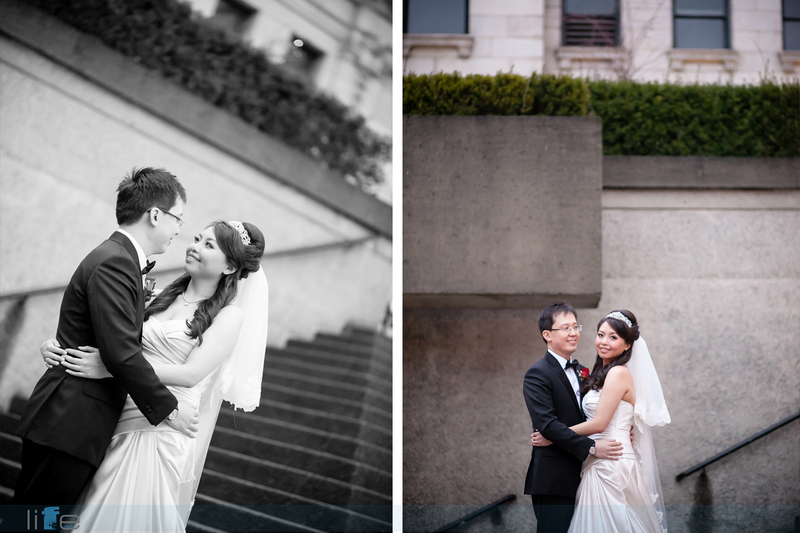 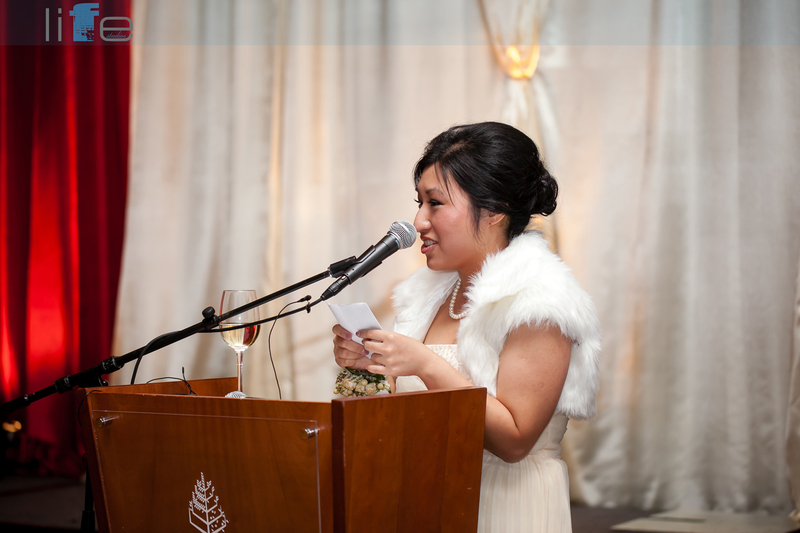 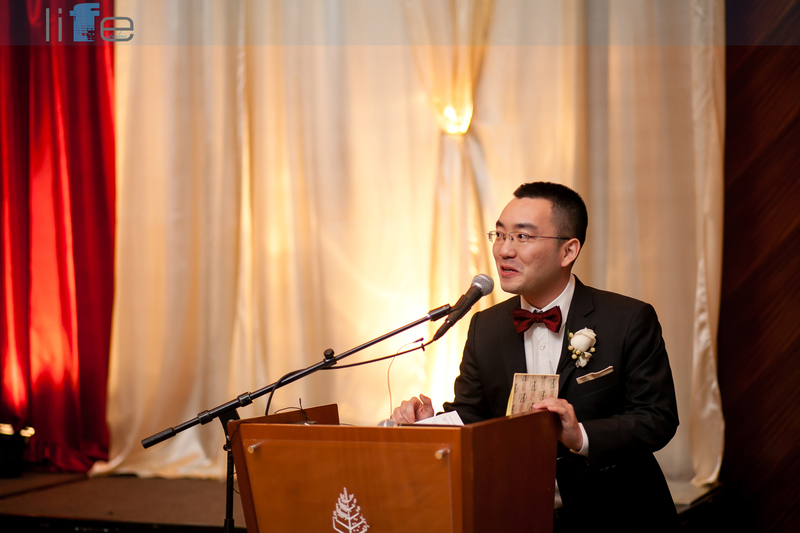 We hope you enjoy the Vancouver Wedding Photographer Winnie and Ken Wedding Photos!